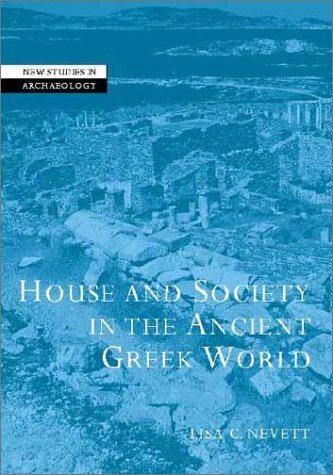 [PDF] House and Society in the Ancient Greek World (New Studies in Archaeology) | Free eBooks Download - EBOOKEE! Description: This book considers traditional assumptions about the nature of social relationships in Greek households during the Classical and Hellenistic periods, which draws on archaeological evidence from individual houses rather than textual sources. The focus of the study is the domestic organization of households, particularly the relationships between men and women within the households, between household members and outsiders, and with the wider social structures of the polis or city state, and how these changed with time. No comments for "[PDF] House and Society in the Ancient Greek World (New Studies in Archaeology)".